Tickets for the tour will be available via a Patreon member pre-sale running from Monday, February 11th at 10 am local time until Thursday, February 14th at 10 pm local time. American Express Card Members can purchase tickets in select markets before the general public beginning Tuesday, February 12th at 10 am local time through Thursday, February 14th at 10 pm local time. 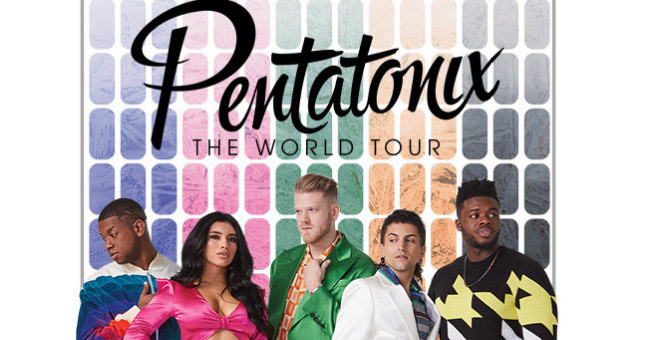 Tickets will be available to the general public starting Friday, February 15th at noon local time at ptxofficial.com, unless otherwise noted below. *Public on-sale for the Atlantic City, NJ show will be available starting on Friday, February 22nd at 10 am local time. ***Patreon pre-sale for the Highland Park, IL show begins Monday, April 29th at 10 am local time and runs until Tuesday, April 30th at 5 pm local time. Public on-sale for this show will be available starting on Wednesday, May 8th at 6 am local time.